"This man Maduro has created a humanitarian crisis," U.S.
Secretary of State Mike Pompeo told reporters in Reykjavik. "As soon as this weekend we will continue to deliver massive humanitarian assistance. Hopefully Mr. Maduro will allow that in to his country." 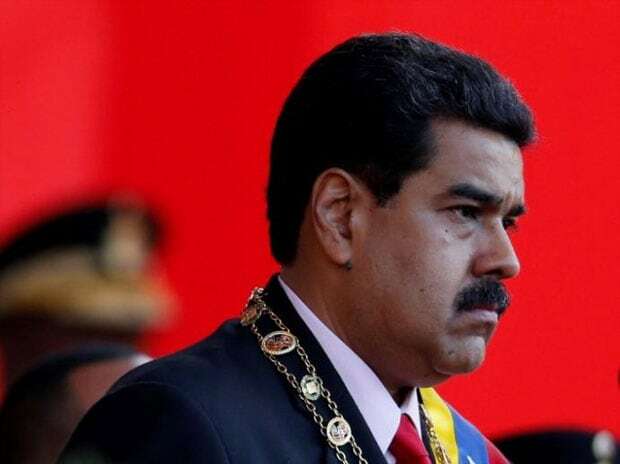 "We are sanctioning officials in charge of Maduro's security and intelligence apparatus, which has systematically violated human rights and suppressed democracy, including through torture,"
Treasury Secretary Steven Mnuchin said in a statement. In a sign that the Trump administration may be trying to split the men from Maduro, the Treasury Department noted in its statement that "U.S. sanctions need not be permanent; sanctions are intended to bring about a positive change of behavior." "The United States has made clear that we will consider lifting sanctions for persons ... who take concrete and meaningful actions to restore democratic order, refuse to take part in human rights abuses, speak out against abuses committed by the government, and combat corruption in Venezuela," it said.